Andrej Fatur is a senior partner and has extensive international experience gained from studying and working in New York, London, Luxembourg and Amsterdam. He specialises in competition and corporate law. As an attorney he has advised numerous leading domestic and foreign corporations on complex competition law issues, especially on information and communication technology, pharmaceuticals and trade, as well as on the restructuring and regulation of the energy and pharmaceutical sectors. He is the author of numerous articles and papers, particularly in the field of competition law. In 2012, Hart Publishing published his book Information and Communication Technology Networks Industries and EU Competition Policy. He was also a recipient of several prestigious international scholarships, such as the Fulbright and Chevning Scholarships. He regularly lectures on international seminars and conferences. Besides his legal practice in Slovenia, Dr Fatur is also a licensed attorney in New York. 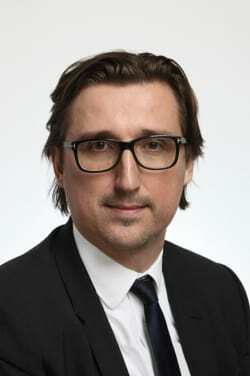 Since March 2012 he has also been a member of the supervisory board of Nova KBM d.d., a Slovenian bank. He is listed by Chambers and Partners as one of the leading competition lawyers in Slovenia and is especially praised for his excellent knowledge of the EU competition law.